Project: Custom designed 4-1/2” x 4-1/2” Note Card Box with directions for completing 2 designs using the Fresh Cuts Stamp Set and Fresh Cut Notes. *If you’re one of the first 5 to order and pay for your class – the directions are included FREE! Hi sweetie .. Just wanted to say your rockin the SU! showcase WHO HOO!!! you go GF! 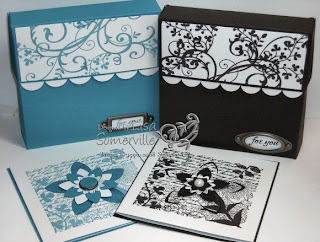 Love your cards .. Just fabulous! !